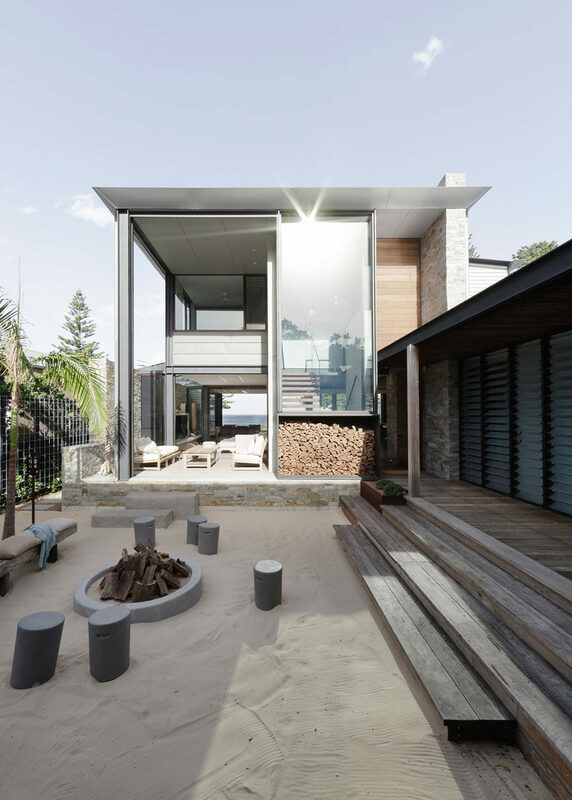 Architecture Saville Isaacs has recently completed a new beach house located on Avoca Beach in Australia. 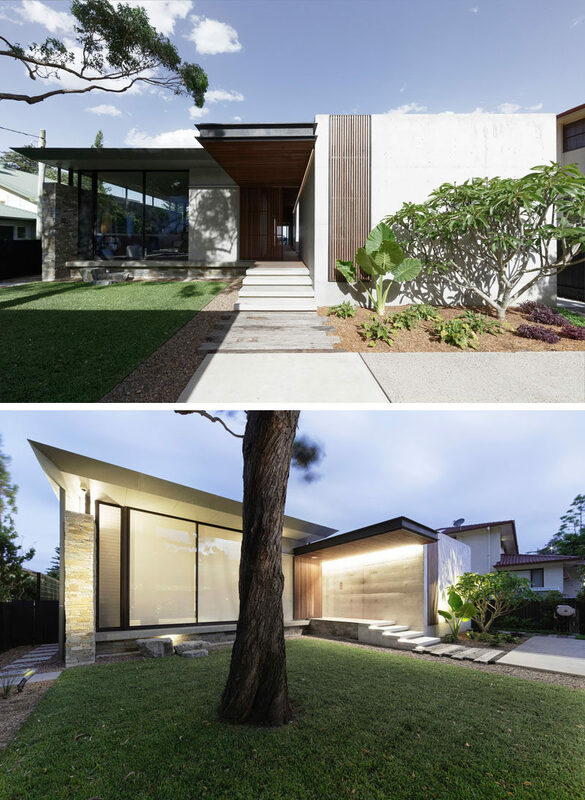 At the front of the house is a grass courtyard, and a pathway that leads to the front door. 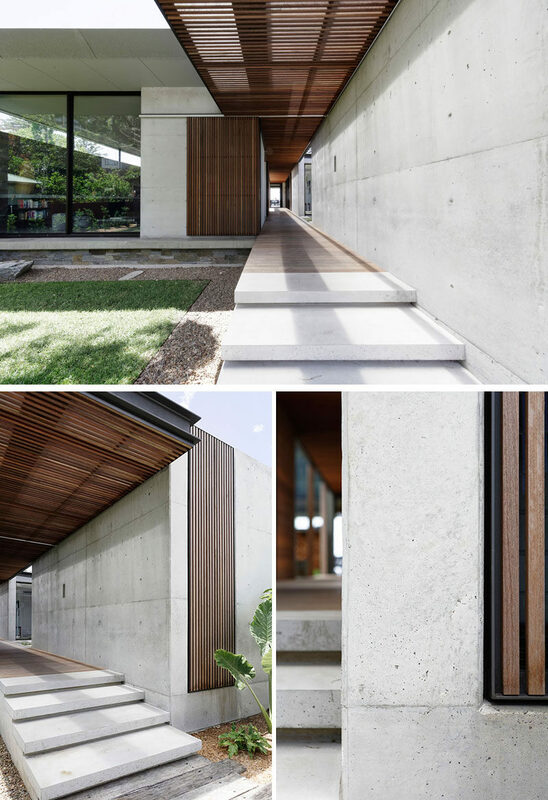 Concrete stairs alongside a concrete wall, lead to the sliding wood slat front door, that complements the breezeway that runs throughout the house. 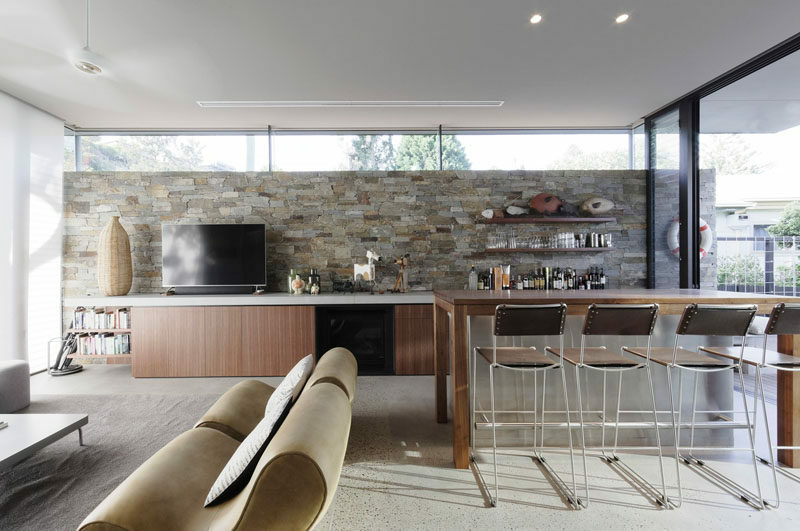 Located off the breezeway is a games room. 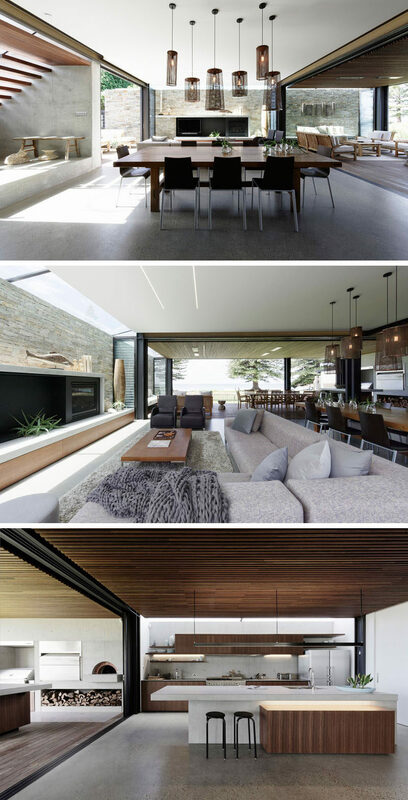 A bar sits adjacent to a lounge, and sliding doors open to an outdoor space. 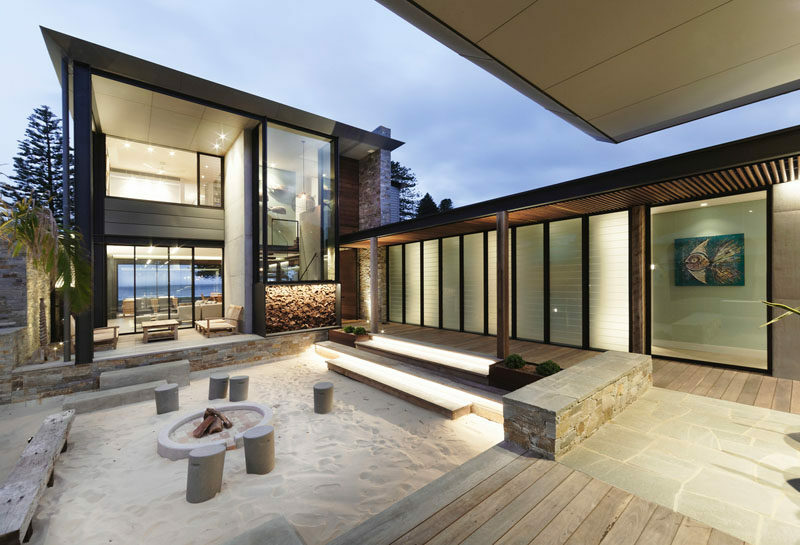 The outdoor space, featured between the games room and additional social areas of the house, is home to a sandy courtyard with a fire pit and stool/bench seating. 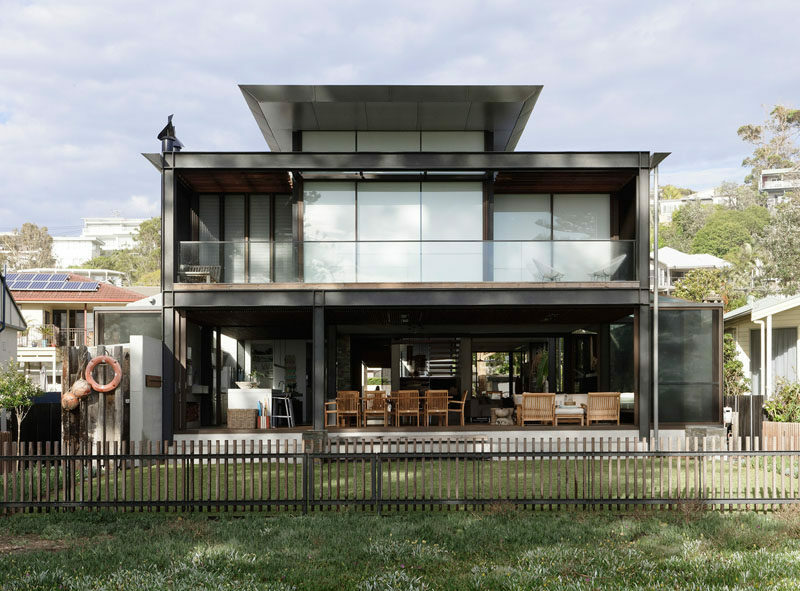 Additional sliding doors connect to the main living room, dining room, and kitchen, with the social areas of the house opening to a covered back verandah with views of the ocean. 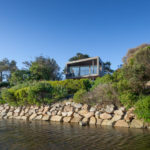 At the rear of the property, the verandah, which is enclosable in winter and completely open in summer, provides easy access to the backyard and the beach. 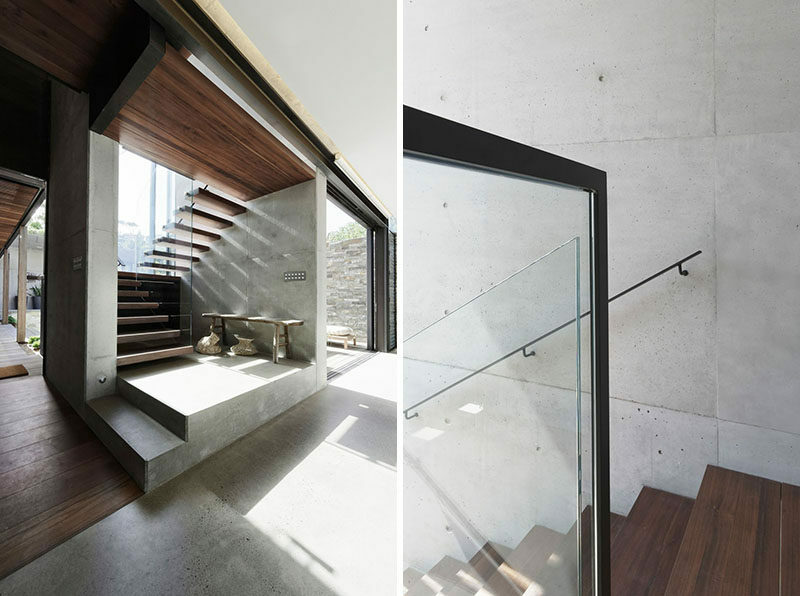 Back inside and by the living room, are wood and concrete stairs with a glass railing that lead to the upper floor of the home. In the master bedroom, a rich wood accent wall complements the wood flooring, while the open ensuite bathroom has the bath positioned for views of the water. 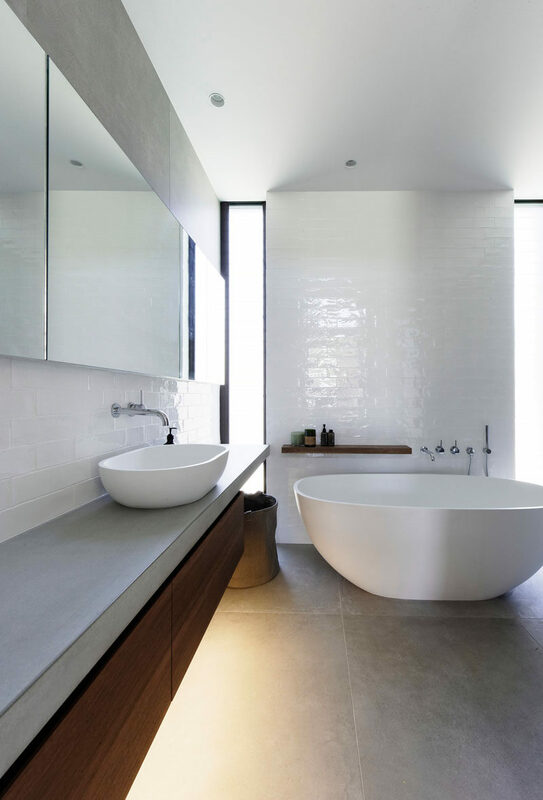 In another bathroom, a white freestanding bathtub has been placed beside a glossy tile wall, while a wood vanity and shelving adds a natural touch to the room.